You can put any old apples in cider - absolutely not . these are known as wrong uns, mankers, or mingers and they definitely do not get through our hand selection process. Cider makes you fall over . Well it can if not treated with respect. Proper Cider is likely to be 6.5 ABV or higher, so if you drink it in the same way as you would some watery commercial lager then you may indeed get yourself in a pickle. We suggest you drink cider sensibly, and perhaps like these gentlemen sitting down, just in case. Real cider is cloudy - not true. Although some real cider may have a light haze, most well made cider will settle clear. 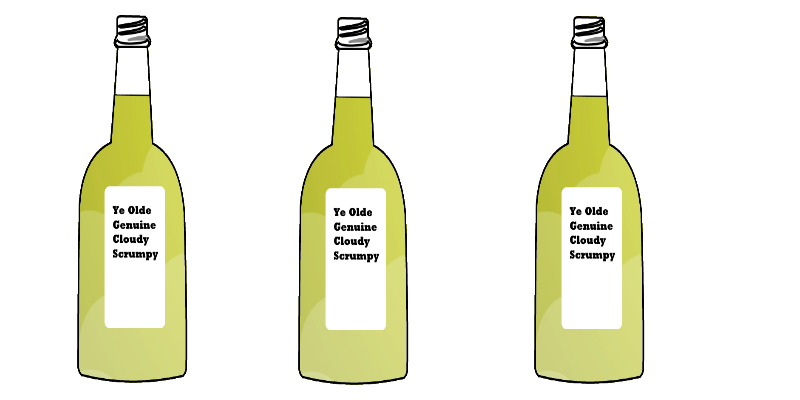 Some factory ciders are actually clouded on purpose so people think it is is more "genuine". don't be fooled. 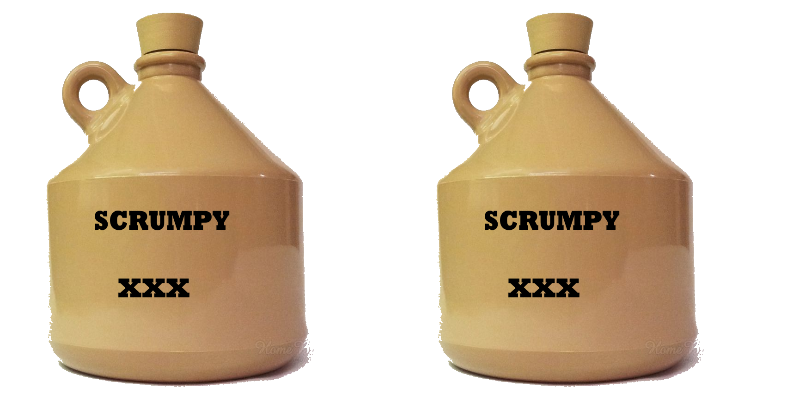 Real cider is called "Scrumpy" - Not So. This is just another term for cider. 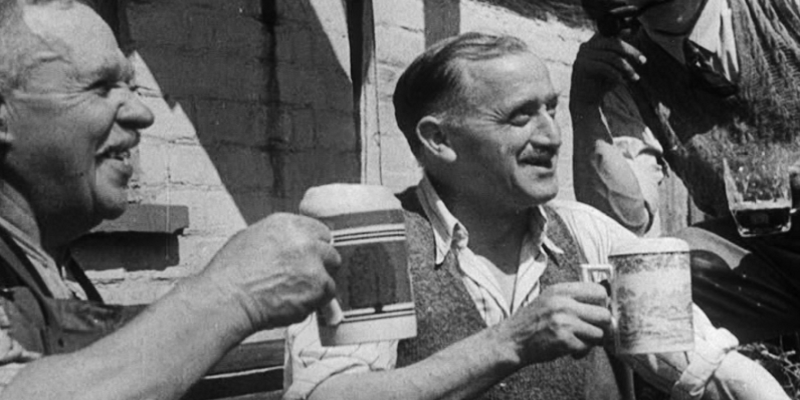 Some cider makers (including us) dislike the phrase and associate it with a poor quality product sold of to gullible tourists in the West Country or an excuse for selling vinegary or "rough" cider that has gone off called "Old Knob Wilter" or something equally amusing. There are good ciders branded as scrumpy and bad ciders called cider. So whether "Cider", "Cyder" or "scrumpy" - its the taste that matters - not the name. You can make proper cider from any kind of apples. Yes and No. Yes, the juice any kind of apple will ferment to make an alcoholic drink, but to make the kind of traditional cider that is associated with the cultural heartlands of English cider making (The West Country (Somerset and Devon) and "Three Counties ((Herefordshire, Gloucestershire and Worcestershire), then you need proper cider apples, with tannin as well as just sweetness and acidity. This gives real cider its body and thirst quenching astringency. Proper Cider has a rat in for flavour - Balderdash ! 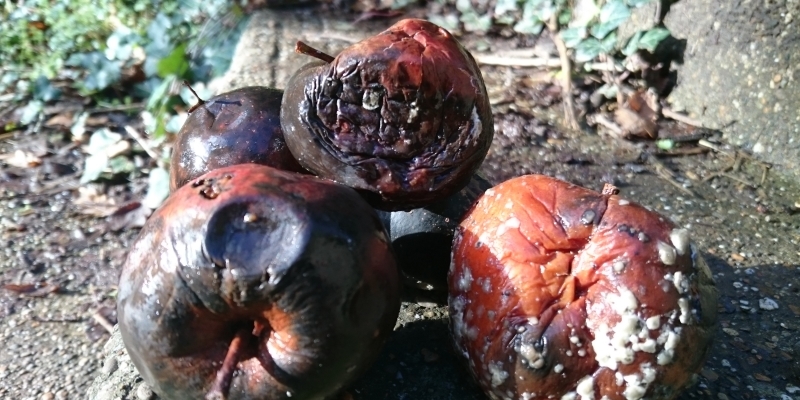 Good cider needs to be made in clean, hygienic (and rat free) conditions. 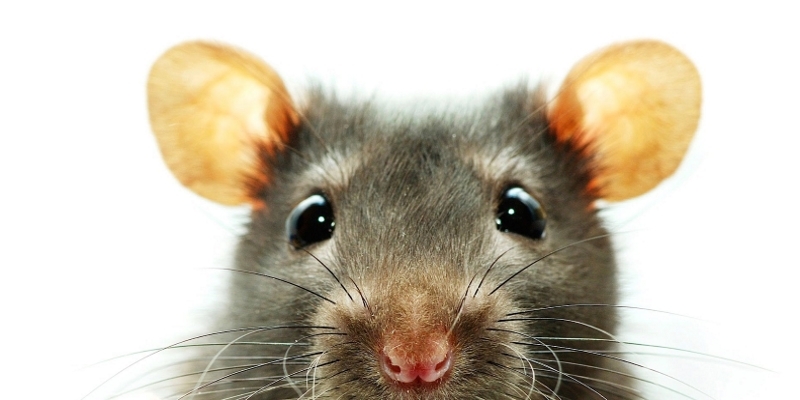 So rat lovers can rest easy that no rats were harmed during the making of our cider.